Bearing units are a special type of single-row deep groove ball bearings. The core competency of the LFD group is the fully automated production of deep groove ball bearings in accordance with German standards. For this reason, the LFD expertise is correspondingly large in this segment. The new range of bearing units LFD-ONE is the result of the greatest possible weight optimization, without neglecting stability and strength. The outer rings are spherical, so that the bearing can be adjusted in the concave housing. The bearing units of the ONE range are sealed on both sides and filled with lithium soap grease. In order to protect the bearing optimally against the challenging conditions encountered in agriculture, additionally a centrifugal disc is installed, which prevents damage to the underlying sealing lips. 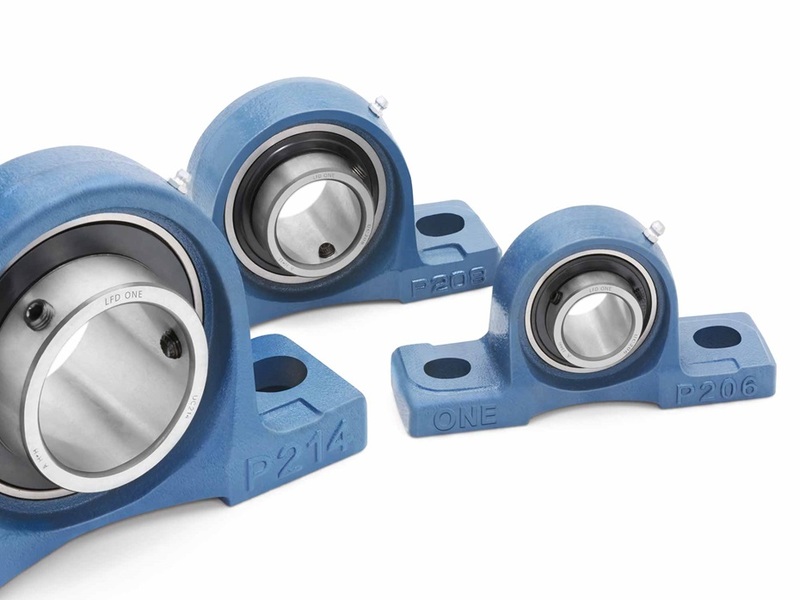 With a UCF 212, the LFD engineers have been able to reduce the weight of the insert rolling bearing unit by 771 grams without suffering a loss of performance. This corresponds to a weight reduction of almost 20%. Because a multitude of bearing units are installed in agricultural machines and soil cultivation equipment, the saving potential is correspondingly large. But here, as a result of the weight reduction, savings are not only achieved in regard to fuel and emissions. After all, at the UN climate conference in Paris the limitation of global warming resulting from human activities was decided. 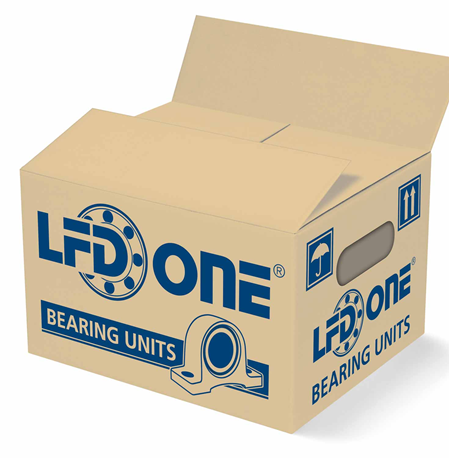 The LFD Group has optimized the design of the bearing units and in this manner provides its contribution. In the course of this, LFD has oriented itself on a rule of thumb used by the automotive industry. This states: 100 kilograms less weight = 0.4 litres reduction of fuel consumption.